After months of waiting Nokia fans are finally about to get their hands on the new 3310.This feature phone was unveiled during Mobile World Congress in Barcelona earlier this year and took the show by storm. The budget device managed to overshadow every other smartphone launched at MWC including devices from LG, Huawei and BlackBerry. Since it was unveiled, HMD Global, the firm behind the re-launch, have stayed tight-lipped about an official release date. But now there's good news as the phone will finally hit stores on May 24th. The device will be available from stores including Carphone Warehouse and Vodafone with a price of £49.99 and will arrive in four colours - Warm Red and Yellow, both with a gloss finish, and Dark Blue and Grey both with a matte finish. This rebooted feature phone includes a bigger colour screen, updated design that's more durable and a rear camera - something owners of the original could only dream of. There's also an incredible month-long battery life and the inclusion of fully refreshed Snake game. The original Nokia 3310 was one of the biggest selling phones ever and the interest in this updated phone looks set to continue that success. 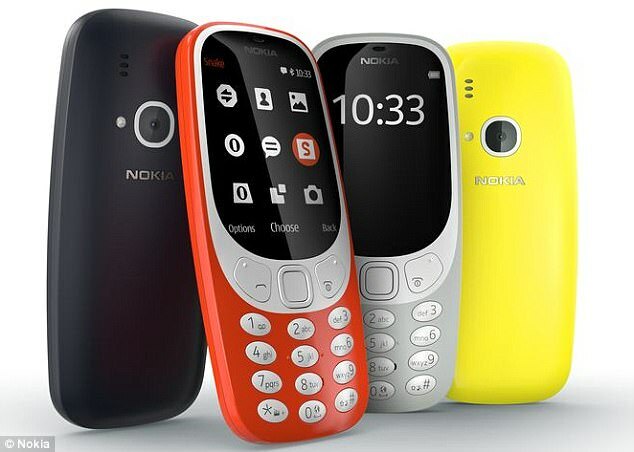 According to data from Carphone Warehouse the Nokia 3310 has seen ten times more pre-registration interest than any of the other flagship devices revealed this year. Carphone Warehouse’s Andrew Wilson said that there had been, “an astonishing groundswell of interest in the Nokia 3310” following its unveiling.